In an opinion piece in The Hindu, Rory Medcalf, Amitabh Mattoo reveal the results of a nationally representative opinion poll on Indians' attitudes towards Australia. What do Indians think of the world outside their borders? How safe do they feel? How seriously do they take the challenges from the neighbourhood and beyond, especially from China and Pakistan? Late last year, The Lowy Institute for International Policy and the Australia-India Institute commissioned one of the most comprehensive surveys of Indian public opinion on key foreign policy issues and critical challenges of governance. Face-to-face interviews were conducted with 1,233 adults, and questions asked in seven languages in cities, towns and villages throughout most of India and at all levels of society. Today we are releasing, in Sydney, the first part of those findings, relating to how Indians view Australia. On May 20, we will release, in New Delhi, the rest of the startling findings of this ground-breaking poll. The most important message from today’s initial poll results is that the Australia-India relationship is an idea whose time has arrived. That there was strong convergence of values and interests between the two countries had been intuitively obvious, but the bad press that Australia received over student safety and Canberra’s refusal to export uranium to India (a decision now overturned) had strained ties. That chapter seems almost over, but there is no room for complacency. Findings of the poll suggest that Canberra and New Delhi need to continue investing in the relationship, especially in correcting popular perceptions amongst Indians about how they are treated in Australia. 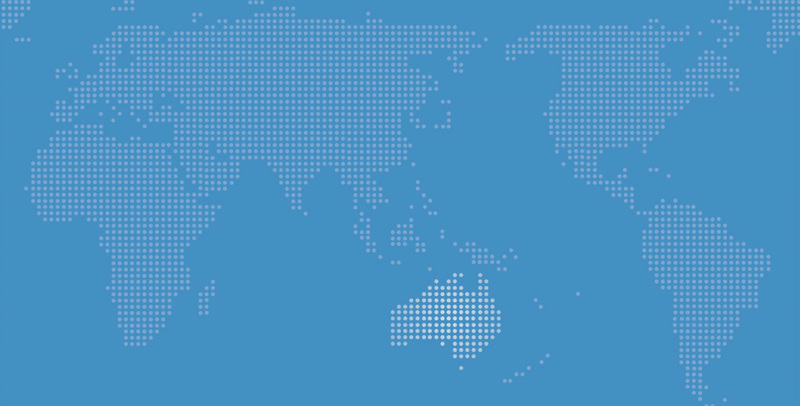 Overall, the survey reveals strongly positive perceptions of Australia in India. Indians ranked Australia in the top four nations towards which they feel most warmly. Only the United States, Japan and Singapore ranked more highly. Today, Indians feel warmer towards Australia than towards countries in Europe, including Britain or India’s fellow so-called BRICS. No less importantly, Australia is seen as a country that functions well and is worth emulating. Sixty per cent of Indians think it would be better if India’s government and society worked more like Australia’s. Japan and Singapore rank roughly equal to Australia. Only the United States ranks better at 78 per cent. Other countries, including Britain, China and Germany, do not fare as well as governance models for India. A majority of Indians also see many good qualities in Australia and appreciate Australian values. This suggests some reassuring resilience to Australia’s reputation based on its core strengths as a developed, democratic, multicultural and egalitarian nation. But it would be a grave mistake for the Australian and indeed the Indian Government to interpret these results as reason to relax about the bilateral relationship. For the poll also shows lingering concerns about the kind of welcome Indians receive Down Under. Most disturbingly, 61 per cent of Indians still think the attacks against their countrymen here in 2009 and 2010 were driven mainly by racism — even though it’s likely this was an element in only a small proportion of those crimes. Sixty-two per cent still consider Australia a dangerous place for Indian students, although 53 per cent say it is safer than it was a few years ago, and 49 per cent regard Australia as generally a safe country. Of course, there is much to celebrate. Relations between India and Australia have deepened dramatically over the past decade. India’s economic growth and its burgeoning demand for energy, resources and education have propelled India to become Australia’s fourth-largest export market. People of Indian origin have become one of its largest migrant communities. Both governments have stressed common security interests and now recognise a shared Indo-Pacific destiny. And Australian Prime Minister Julia Gillard’s hard-fought victory in December 2011 reversing Labour’s uranium ban has removed a barrier of mistrust. Incidentally, 70 per cent Indians think selling uranium is important to Australia’s relations with India, while only five per cent think it is not important. There is bipartisan Australian support for engaging India. The Liberal Party, under Tony Abbott, is committed to pursuing an even more robust relationship. The poll data suggests a healthy pragmatism among Indians, as well as respect for a fellow democracy, which Australia and India ought to harness. More than half of Indians believe Australia is a good place to live and to get work. About the same proportion see Australia as a country well-disposed to India; while 59 per cent agree that the two countries have similar national security interests and 56 per cent go a step further to agree we could be good security partners in the Indian Ocean. And ordinary Indians seem to understand that Australia is becoming indispensable for their country’s development: 60 per cent see Australia as a good supplier of energy and other resources, 57 per cent think it supplies good agricultural produce, and 61 per cent agree it is a country known for excellence in science. But there remains work to be done is in correcting Indian perceptions about what Australians think of them. Indians are divided on this front: 51 per cent agree that Australia is a country with welcoming people, while 26 per cent disagree. Indians from large cities are more positive, with 71 per cent agreeing that Australia is a country with welcoming people. One promising discovery is that young and urban Indians tend to be more positive about Australia, and in a nation with more than 600 million people under the age of 25, that remains an enormous opportunity. With this poll, there is now a measurable scorecard to help political leaders and diplomats in New Delhi and Canberra, along with universities, business and civil society keep lifting their game in a crucial bilateral relationship. Amitabh Mattoo is Director of the Australia India Institute and Professor of International Relations at the University of Melbourne and Jawaharlal Nehru University. Rory Medcalf is Director of the International Security Program at the Lowy Institute and Associate Director, Australia India Institute.